What are the biggest challenges that global marketers are facing today? It’s of real significance if one can work in the complex world of global marketing environment. Bigger brand names have more links in the chain. Many Big Global brands for ex: Colgate, Disney etc. have historically struggled with rolling out marketing campaigns across multiple markets/territories. In today’s world we have technology and communication tools and hence greater is the expectation for relevant, local execution. Internal co-ordination of different campaigns across business units and regions remains a key challenge for global marketers. Campaign models must have key ingredients such as adoptability and adaptability. But question remains the same that is how to achieve the results. Some brands choose a decentralized model whereby local markets still hold a lot of autonomy. Other brands prefer a more centralized approach and give little or no leeway to local markets. For ex: when Chinese do business, they like to have centralized approach (Disney case). The creative concept that aligns in one territory may fall flat in another for any number of reasons. Adapting an idea to suit diverse cultures while remaining true to the key messages behind the campaign remains a major challenge for global brands. Conveying these creative, intellectual and emotional elements safely across different markets is one mighty task. But our digital media -with all the technical, channel options available – makes the scenario even more complex. Driving local consumer at the highest possible level is an ongoing work in progress. It is not astonishing to me when considering the different levels of marketing maturity, legal and cultural issues across the globe. 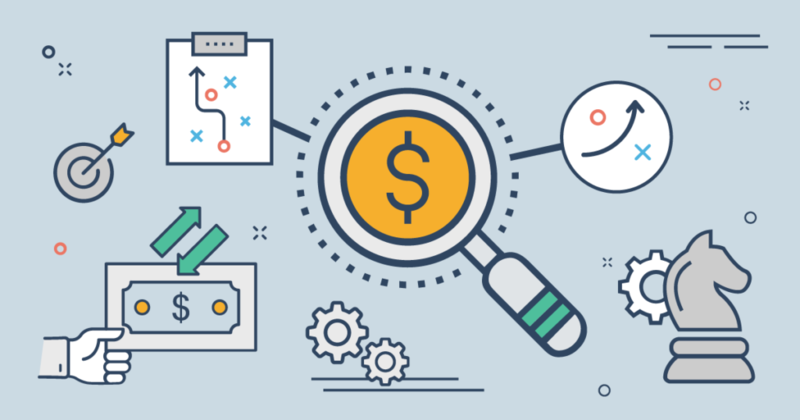 Measuring ROI is a challenge for all marketers especially for global marketers as they need to report on campaign performance in different regions, with large budgets at stake. Lastly global marketers are judged on the performance of their campaigns, how ROI can be achieved. It’s clear that key performance areas (KPA) from the beginning is essential for balanced outcome. Yet, at the same time, global marketers have to be flexible regarding the interpretation of data which comes from several different environments that can make it meaningful and comprehensive. Delivering consistent results across plethora of channels and geographies remains a challenge, particularly when there is requirement for short-term results. If a marketing campaign does not perform well, a deep dissection needs to be carried out so that lessons can be learnt and measures can be taken to improve the future campaign. Another challenge is to strive for global campaign consistency, at the same time to have focus on local market. The crux of acting on global platform while thinking on local market aspect remains a central tenet for global marketing directors. Localisation is the big idea for different markets worldwide. But the methodology for doing so is somewhat polarised. Whichever route people are taking, it’s clear that focus on local market and smart implementation are firmly on the agenda while devising marketing campaign. Whether you carry out your global campaign in-house, or trust a partner agency to adapt a campaign, it’s important to put as much effort in the implementation of the campaign, as you would in the creative development. Global marketers need to align their campaigns to cater diverse cultural and social needs. It’s just part of the puzzle that marketers need to bring together. But target messages should reach on global scale in order to requires a deep understanding of how industries, geography and demographics will react to the messages. Brand affinity and consumer behaviour are affected further by the strength of country’s economy which is another aspect of complexity. Exhaustive market research is required to validate not only the creative idea but also the tactics deployed to bring the brand message to market. Research and Testing is a crucial step towards global campaign success. Integration of social elements into a wider campaign remains a key for many global marketers. Reliable report about the impact of social awareness and sales remains murky despite the voluminous data. Such report is sometimes hard to align with the more traditional ROI indicators from advertising or direct marketing. Technology has made global marketers’ lives a lot easier. Yet there is risk to it. It should be made of creative ideas, following a strategic and operational vision. Digital Asset remains a tactical challenge. It’s also important to know which assets are being used, which are needed, and which assets can no longer be used due to expired usage rights. Technology can facilitate the validation process by using cloud validation tools which allow local and global marketers to review market performance. Before switching to any new technology, it is always recommended that carrying out a trial to ensure the technology works because what may work for one brand, may prove difficult for another. Ever since the first season aired in 2009, RuPaul’s Drag Race, a reality show featuring drag queens competing for the crown and a cash prize, but also highlighting issues of self-acceptance, self-expression, and the dismantling of societal norms, coupled with the popularity and strength of social media platforms like Twitter and Instagram, has become a global phenomenon. In depth, affected and repulsed by the current US political climate, it is easy to see why Drag Race has been embraced even more by the LGBTQIA+ community, but also those outside, as an observed resistance to the current climate. As RuPaul says, “Every time I bat my lashes, it is a political act”. The cultural divide has brought shows like Drag Race to the forefront, highlighting the important of diverse representation. Produced by World of Wonder and hosted by drag queen legend, RuPaul Charles, RuPaul’s Drag Race has been expanding its viewership, moving from Logo, a network run by Viacom, to Viacom’s most popular VH1 network, which has twice the potential viewership footprint. With annual US viewership consistently rising, Drag Race went global via Netflix in 2013, making the series available in 30 countries worldwide; its popularity has risen even more with the 2016 Emmy win and global-known celebrity guest judge appearances like Lady Gaga, Christina Aguilera, and Ariana Grande now on its eleven season with two spin-offs. On Dec 5th2018, RuPaul announced there will be a new “Queen of Great Britain” crowned with a UK version of “RuPaul’s Drag Race” starting on the BBC network next year.It marks the first time that the series has been adapted for the British market. It is important to note an already established fan base in the UK due to Netflix UK and drag race contestants’ UK presence during annual global tours. In order to cater to the British consumer and global obsession of UK Royal culture, Drag Race UK announced a “Royal-Mother-To-Be” runway challenge, associated with the beloved Meghan Markle. Only time will tell how the UK consumer, mainly the LGBTQIA+ target audience, will react during the premier of their first episode. The shows’ future lies with the careful analysis of the cross-cultural consumer behavior of the UK market, localizing enough to the British culture through challenges/tasks and runways, celebrity guests, and chosen highlighted issues, while keeping the essence of the American model that has brought them great success in the US. As marketers, we’re always interested in viewing branding from as many angles as possible. Each marketer has a unique perspective when it comes to the most important things to remember in order to develop a successful brand. Jason DeMers takes an interesting perspective and proposes “The Top 7 Characteristics of Successful Brands.” We’re going to dive a bit deeper into these characteristics that we also think are the most important. He identifies these characteristics as audience knowledge, uniqueness, passion, consistency, competitiveness, exposure, and leadership. When it comes to developing your brand, the very first question you need to ask yourself is who exactly your target audience is. This is your biggest insight when it comes to determining a tone that is appealing to your audience and actually makes them want to listen. Differentiation is one of the most important things when it comes to branding. Everyone is selling something and chances are, at least someone is selling something similar to what you’re selling. Your job is to let your audience know what makes you different and why should they care? At the end of the day, this uniqueness or differentiation is going to be the determining factor when it comes down to a consumers decision between your product or service and someone else’s. You can’t expect someone else to be excited about your product if you aren’t. You have to believe in your product or service wholeheartedly. Typically your passion and excitement is likely to wear off on your consumers hopefully making them just as excited and enthusiastic about your product or service as you are. In order to establish a brand your consumers understand, it’s important to remain constant with the story you’re trying to tell. Remaining consistent with your branding portrays a confidence that you’ll remain consistent with your product or service ultimately making you reliable. 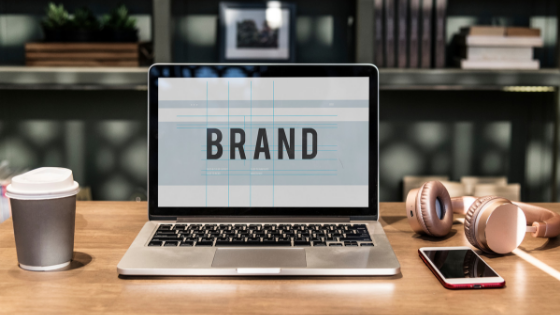 By standing firm and pursuing the brand you’ve established and developing that specific story further it is much more likely that your consumers will remain loyal to your brand. However on the other hand, if even you can’t stay loyal to your brand or story how can you expect your consumers to? Is starting a new challenge (such as a new business) even fun without some competition? Rather than being nervous or anxious over your business’s competitors, you and your team should use these feelings as motivation to work harder and strive toward improving your own brand. Make sure you have the right “movers and shakers” behind you and your brand to go above any customer expectations. With this type of outlook, your brand will stay ahead of your competitors; while also being prepared for any potential future entrants to enter your industry. If a company is able to reach multiple customers through numerous channels, then they they are on the right path to becoming successful and distinctive. This is where larger companies have an advantage as they typically have a larger marketing budget, as well as more connections to work with side-by-side. Today, however, has altered how small companies can compete with these larger companies due to advances in technology and increased popularity with social media. With the right tools and knowledge, spreading your business’s brand is easier than ever. Building a business also requires building a team, and what does every team have in common? They all require a leader. This is someone to coordinate all team member efforts and to be the final decision-maker when it comes down to it. The leader is also someone who serves as the liaison between numerous departments and resolves any current or potential conflicts. Most importantly, they are there to serve as the official motivators to ensure all departments are able to work cohesively and at their best efforts. • Foreign market characteristics: Industrial and economic progress, communications and marketing infrastructure, technological equipment, laws and regulations affecting the community affect export performance. When the conditions of the foreign market differ from the domestic market, the problem of obtaining the required information is intensified. This uncertainty and lack of information may increase the likelihood of making false decisions and, consequently, lowering the quality of company performance. After this, it’s better to choose a foreign country that is more similar to the domestic market for export. Obviously, the lack of recognition of the cultural, value, economic and legal characteristics of foreign markets and the selection of inappropriate pricing strategies will provide the grounds for the failure of export companies. The industrial structure of each country determines the needs of its people for their products and services, and their income levels determine their employment. The distribution of income also depends on the industrial structure and political system of the country and it is very important to determine the type of pricing strategy. Another factor that can be considered as a social market factor affecting the pricing process is the culture that dominates the target country. Culture is a set of institutions and methods in a society that is passed from generation to generation and regulates the behavior of the human beings of that society. The kind of culture that expresses the attitudes and attitudes of the people of society. The existence of different social classes in society is considered as a cultural factor, which has a great influence on the choice of the type of pricing strategy. The use of any type of pricing strategy is clearly linked to the culture of a nation. From a competitive point of view, companies should always consider the impact of their pricing on competitors’ pricing decisions. Under the laws and regulations of the target market, companies are not allowed to choose of price for their products at any level they prefer. For example, there may be price controls that prohibit high pricing for products. On the other hand, if the price is set too low, then the dumping phenomenon will occur. Offering different prices for different customers may also be a violation of the law against price discrimination. Nevertheless, collusion with rivals for fixing the prices at an agreed level, is not illegal in most countries. The number of countries targeted for export activity is directly linked to pressure on the firm to standardize prices. The degree of similarity or difference between the destination countries and the country of origin has a significant impact on the degree of difficulty of the pricing process. Improving communication technology among buyers has made it more difficult to use a different pricing strategy in different markets for the same product. The use of price discrimination strategies requires the ability to differentiate customers from one another. Technology improvements and communications, have led to the elimination of economic boundaries in the world. As a result, the categorization of foreign markets with the goal of creating a group of people to reduce the pressure from the multiplicity of target countries in choosing the type of marketing strategies, especially pricing strategies, is very important. In addition, the use of different prices in different markets will increase gray marketing activities, and this will also be more severe with the globalization of business. Management is related to manager experiences that have gained in a company or industry over many years. Managers do not work in empty environment, but they constantly engage with others. Their experiences are not limited to individual experiences, but also from the organizational experiences gained over time. The manager’s experiences can be effective on the subjective frameworks that the manager or a team of decision-makers put into action. The manager’s experiences can be effective on export pricing strategies. 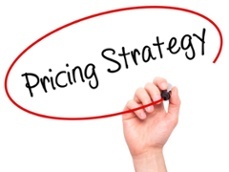 Some managers believe in matching prices and others tend to standardize prices. 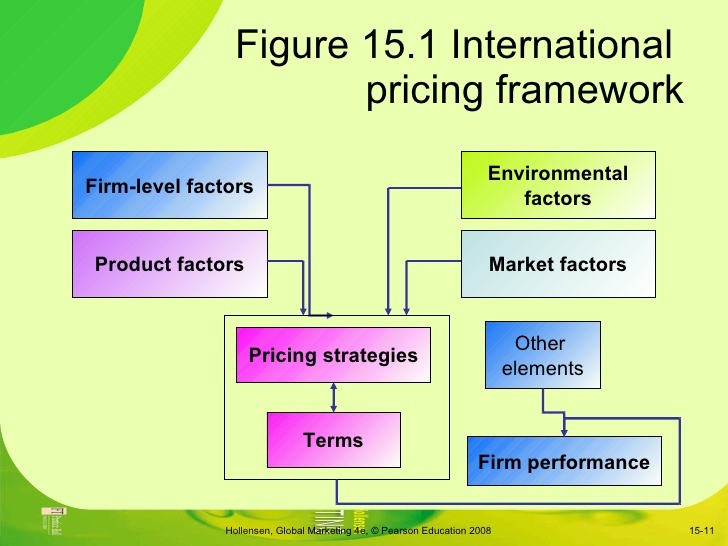 Over the past decade, managers with international experience have argued that it is very difficult to use the pricing strategy for similar products in global markets. Chung (2003) concluded that export-qualified companies should pay attention to standardization of prices. In this case, it can be said that no set of strategies can be sure to provide a reliable version for standardization or price adaptation. As a result, the company’s managerial experience is very important to determine the strategy of the pricing. 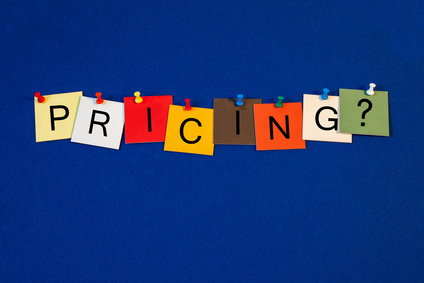 Pricing – sign series for business terms. Export pricing decisions are influenced by many factors, and some of them can be easily assessed and monitored by exporters. The important thing to control and evaluate these factors is to collect and use information correctly. Information has a very important role in today’s modern and economic life. The accuracy and extent of the use of information collected depends on factors such as resources, methods of collecting, organizing and analyzing them. Exports can be divided into two groups: the first group includes information related to costs, profits, volume of production and sales of the company that can easily be collected and processed from internal sources. The second group is market-based information that focuses on the competitive environment and customers of the company. Such information can be collected from the status of industry, competitors, and product status. The complexity of pricing decisions requires both types of information to be collected and processed. However, due to the relative importance of each type of data collected, a different behavioral approach to pricing can be used. Export Trigger: The purpose of the export stimulus is the incentives for the company to determine and exploit the opportunities of the foreign markets. In the export literature, there are two types of passive and reactive export stimuli. Active incentives are related to the deliberate study of the company for export opportunities and reliance on exports. The response stimulus is related to the company’s response to changing conditions in finding export opportunities. The passive stimulus of behavior leads to activities and exports that are at the center of attention of managers, while the incentive for exports can be driven by the simultaneous influence of each two moves. In the past, they believed that companies began to export their products only under the influence of passive motions. Export motivation is effective on the type of pricing strategy. If a company is forced to export its goods due to inappropriate conditions on the domestic market, lower prices at the early stage are more appropriate. 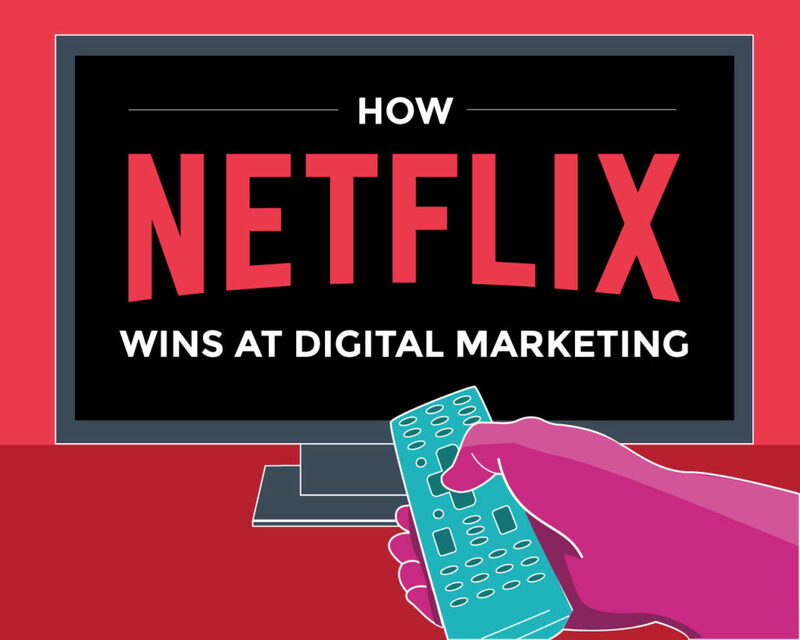 This is where Netflix made an astute decision of focusing a majority of their marketing and advertising efforts onto the digital media channels. Not only does digital media provide them with platforms that have an easier reach to such a diverse audience, but it also provides them with an immediate feedback loop to track their target’s responses. Along with its decision to concentrate on social media platforms (Facebook, Twitters, Instagram etc), Netflix has also aligned with a ‘product based’ marketing strategy over the usual ‘brand based’ marketing strategy. This means that Netflix advertises its exclusive ‘Original Shows’ instead of the traditional method of advertising their entire brand as a service that is provided. Netflix seems to believe that creating a loyal fan base for its original content and getting their audience hooked onto their programming is what in turn will increase their overall subscription numbers. In support of this strategy, Netflix has been continuously adding original content in various languages to accommodate their wide market, leading to over 148 million streaming subscribers worldwide in the fourth quarter of 2018. 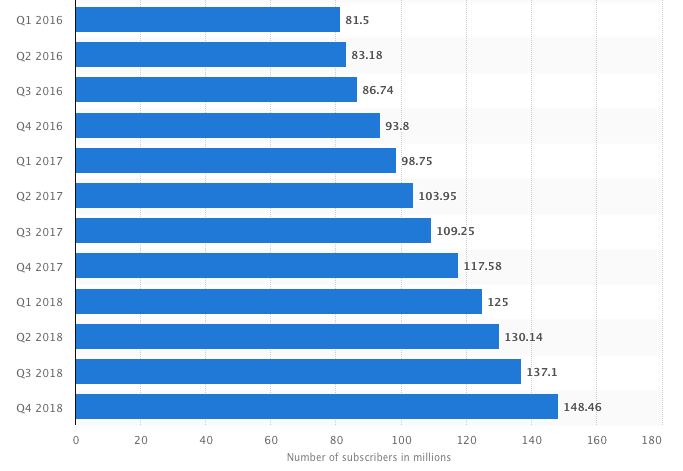 Of these subscribers, 60.55 million were from the United States and the rest 59% being international subscribers. Native Advertising creates advertisements that are in the same style and format that the content audiences are there to consume. Hence marketers provide a much less disruptive advertising experience and in turn draw a higher click rate than the traditional banner ads, particularly on mobile devices. Desktop native click-through rates (CTRs) averaged a respectable 0.15%, while native-mobile ads had CTRs over 1%, according to recent data from Polar Media Group and Celtra, respectively. 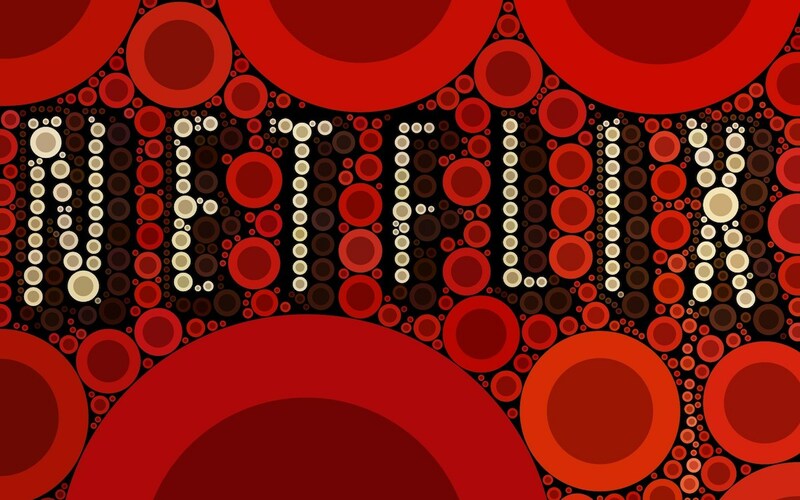 Netflix cashed in on this high ROI with some very successful Native Ads in recent history. They started collaborating with reputable online publications and news outlets to provide content that apart from a few references/connections to their exclusive content (that they wanted to advertise), could very well be perceived as credible journalism addressing the needs of the society. 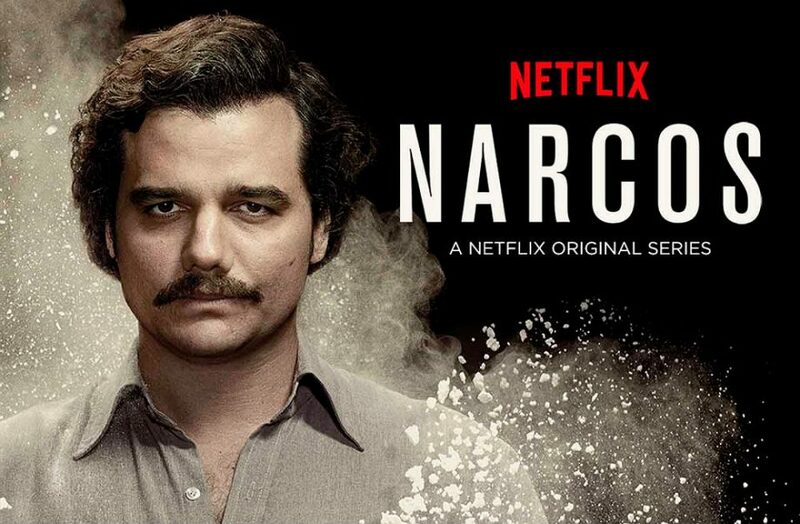 Wall Street Journal – A series of articles about Cocainenomics and the rise and fall of Pablo Escobar just in time to promote their new series ‘Narcos’. The Atlantic – A multimedia long thread about the dynamic between U.S. presidents and their wives. 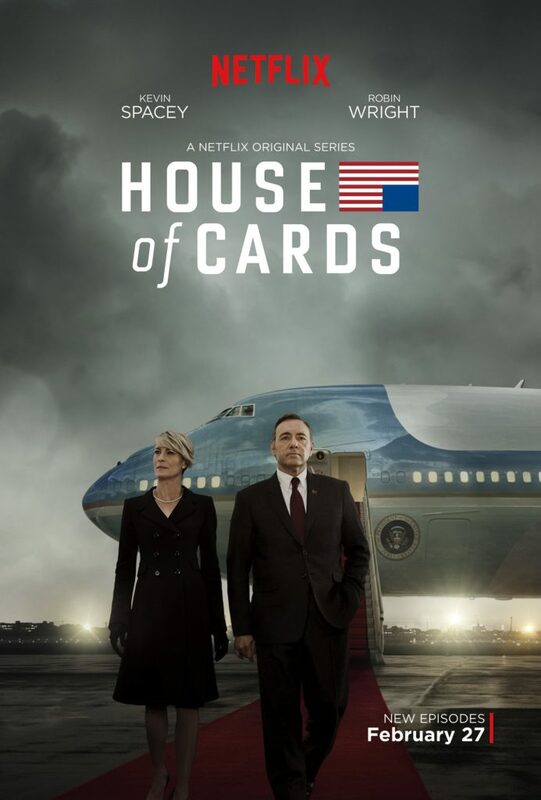 Titled “The Ascent: Political Destiny and the Makings of a First Couple” the thread is a stylish piece of native advertising, created by The Atlantic‘s in-house agency Re:think to help promote the third season of ‘House of Cards’. The piece was pretty clearly marked as a sponsored content effort on behalf of Netflix and even carried the Netflix and House of Cards logos. The New York Times – In-depth multimedia feature on women in prison and why the male model doesn’t work, as a piece of native advertising for their series ‘Orange is the New Black’. 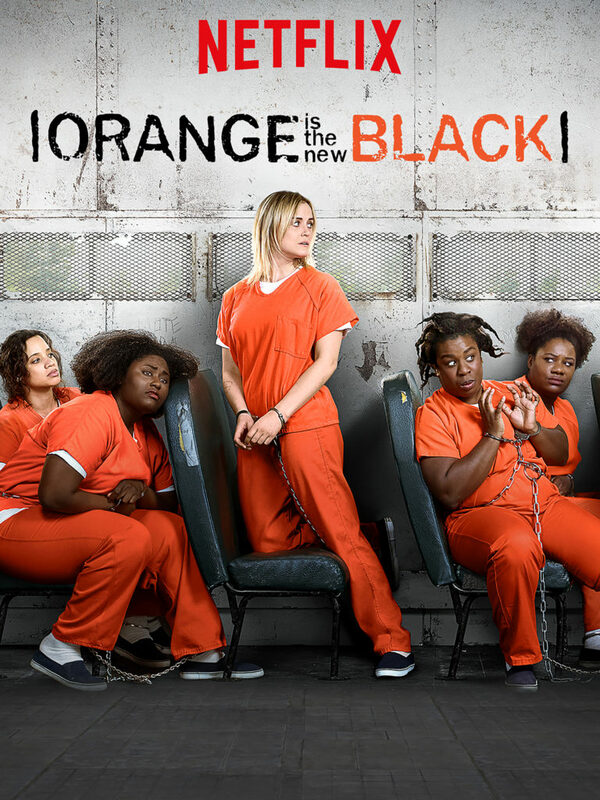 Even though the article was marked as a paid post, the only direct reference to Netflix in it was Piper Kerman, the author of Orange is the New Black, and the subsequent launch of the Netflix original series. The common thread between all of Netflix’s native advertising campaigns is that each of these stories would have worked equally well as part of the editorial content of these individual publications. That is what sets Native Advertising apart, the fact that it compels the advertisement to be as true and non-intrusive to the customer’s experience as possible. Brand awareness and product awareness plays an immense role towards purchasing decisions, especially when the good or service is an international one. In addition, an exposure to the country’s customs, beliefs, and values influence consumers’ perception of their goods and services; whether that exposure is negative, positive, or neutral, that experience influences consumer behavior towards the product. Should a company want to go international, they must assess the similarities and differences of the foreign market compared to theirs. Understanding cultural differences and similarities enables the company to better succeed as the can better market their product to their targeted international audience. Looking at the macro-level, through Hofstede’s founded 5 dimensions of national culture, to better compare two countries, you must identify your country and the foreign county’s level of power distance, individualism/collectivism, masculinity/femininity, uncertainty avoidance, and long/short-term orientation. Labeling the two countries based on the 5 dimensions allows you to make broad assumptions of their society and ultimately to better understand the target audience you are wishing to reach. 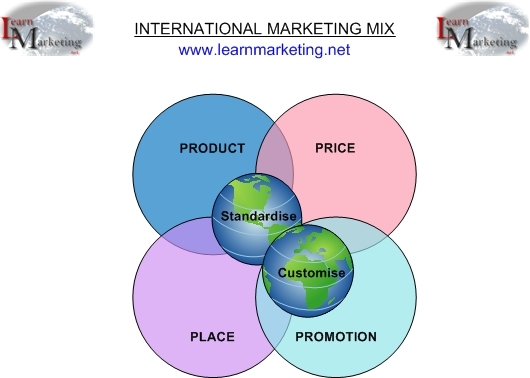 Understanding this differences and similarities between your international target group’s cultural, social, personal, psychological, and economical determinants better equips the company to produce meaningful and influential advertisements in hopes that they will willing choose and spend their money on your products over the competitors’. In order for a product to succeed internationally, the consumer must dive into the psychology, sociology, and cultural anthropology of their prospective consumers. These attributes, per Hofstede’s study, says that marketers should understand their foreign country’s concept of the self, personality, identity and image. Moreover, they must understand their consumers’ social processes of motivation and emotion, as different cultures and countries, react differently to different cues. It is important to note that even though the foreign country itself may be similar to the home country at face value, there may be many differences that if not accounted for, may lead to huge failure in capturing that audience and selling the good and service. Below is a video of Australians trying and reacting to typical American snacks. Although Australia is similar to the United States is shared language along with other similarities, the Australians consumer may not react the same as the American consumer to the US product; in this case, the international marketing strategy must be changed. In additional, marketing teams must aim to have as much quantitative data on their consumers and the foreign market to understand them, their needs and desires and satisfaction levels/ post purchase behavior, as we want them to be reoccurring customers. They do this by collecting primary research through, observation, experimentation and surveys, and through external sources like country information and news sources. Developing a thorough understanding of the customers within a market is crucial to being able to successfully and profitably launch a product. Often a company will start their reach domestically and plan only for their local customers. Social, economic, cultural and religious factors could play a very different role abroad. Although, when launching domestically it isn’t priority to research international customers it is important to remember you cannot use the same marketing approaches when expanding internationally. A widely discussed and interesting international expansion is that of McDonald’s in India. McDonald’s launched their first restaurants in 1996 as a joint venture. They were listed as one of the more expensive fast-food chains and needed to overcome that barrier, but as in the rest of Asia, tastes and preferences in diet vary greatly in India. The localization change of McDonald’s menu items was less than 5% in most countries, but in Asia it was 33%, and in India it was 75%. In Thailand, basil was added to the burgers, Japanese liked Teriyaki burgers and the Indonesians liked rice burgers. The Indian adaptation challenge was massive due to the religious differences that affected eating habits and ingredients used. India had a significant vegetarian population, Indians like their food hot, used spices liberally, vegetable oil was used as a frying medium, and due to religious reasons, there was poor demand for beef and pork. Hence, a special menu had to be designed to suit Indian tastes with spices and ingredients preferred across the country. The Maharaja Mac with chicken replaced the beefy Big Mac, while the McAloo burger and Vegetarian Salad Sandwich were specially created for India. Special Indian sauces like McMasala and McImli were created to adapt to Indian tastes. Garlic free and eggless sauces were formulated to cater to the vegetarians. From the original McDonald’s menu, only Chicken Nuggets, Fillet-O- Fish, fries, sodas and shakes were introduced in the initial phase. When it came to marketing, there is a high emphasis on family and family values that the McDonald’s team took that into consideration when creating a lot of the advertisements. Recently, they produced the following commercial to not only promote the food but that McDonald’s brings the family together. McDonald’s has seen steady growth in their revenue, and will likely continue to see that growth as they continue to focus on the customer, their needs and their values. 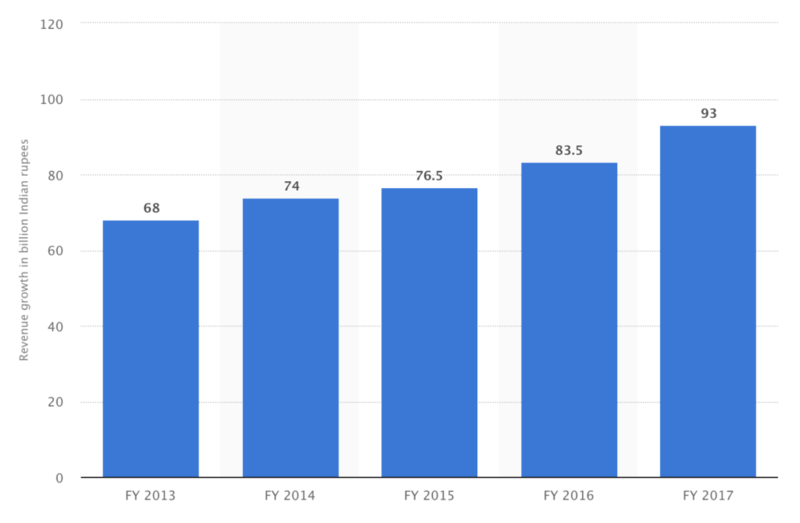 Please review the annual revenue of McDonald’s in India from FY 2013 to FY 2017 (in billion Indian Rupees).